Bananas are favored by most humans and animals such as monkey, dogs,… For human diet specially, bananas are in the recommended list for daily menu. However, cats seem not to be attracted that much by the fruit. Based on rich nutrition value contained in a bananas, many cat owner thought it could be healthy snack for their pet, but actually not. But can cats eat bananas? The fruit is not in the list of toxic food for cats, according to ASPCA reports, so they can. Nevertheless, cats are not fancy bananas under any way of processing. The fact is that bananas are not advised for cat consumption. Cats are studied and concluded to be pure carnivore, like alligators or minks that are not supposed to eat vegies. In reality, nutrition found in bananas or other vegetables is not good for cats’ digestion. 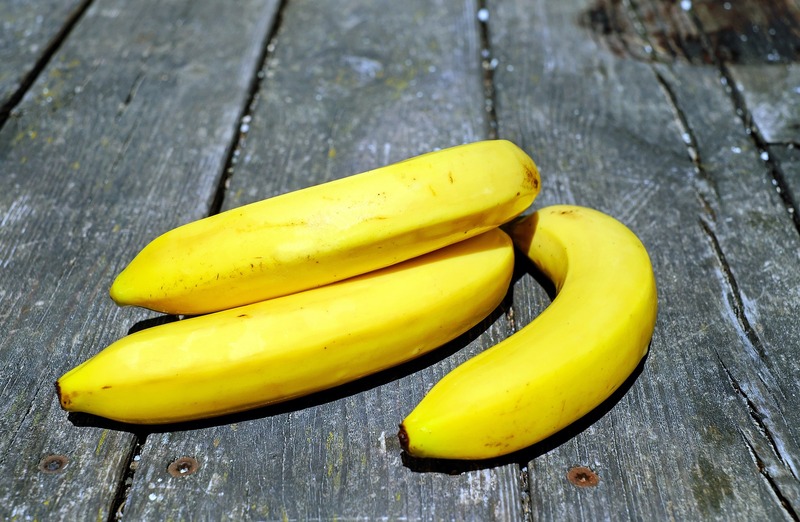 Carbs – carbohydrates make up about 23 % of a medium size banana (about 120g banana will contain 27g carbs ). Unfortunately, unlike to demand of protein, cat body cannot deal with carbs exceeding 2% of their diet. If eating too much carbs in a long time may cause health problems . Really, cat diets do not appear to contain carbohydrates and their body can function without disorder regardless of consumption of carbs. Sugar, in a sweet fruit like banana, is rich. However, as carbs, cat assimilation do not function well with digesting sugar, or generally, sweetened food. Neither artificial nor natural sugared is recommended by nutritionists. Furthermore, if eating too much sweet things, sugar would be stored in cat stomach then generate constipation. There could be a reason for diabetes or obesity sometimes. Cats need huge supply of fats and proteins for every formulas, but these nutrition are not rich in bananas. In another hand, cats lack enzymes to digest common components of plant food source that is why they eat meat for most of their meal. As can be said, healthy components in bananas working well on human but not such beneficial to felines. Firstly, fiber, always discovered from flora, is acceptable for cats at quite very little amount. However, bananas hold up 12 % of fiber, equal to famous potassium portion (source), cat’s stomach is unable to deal with such a big amount dues to their lack of functional enzymes. Moreover, fiber can find in cats dry food and other formula. It is not unique nutrition of that fruit. Secondly, potassium, well-known component in bananas people enjoy the most, seems not to be necessary for truly carnivore like cats. Actually, people diet is disparate and fiber is always in the top component to add, meanwhile, the theory cannot work with felines. Cats diet formula are full of meat, they consume mainly proteins from fresh meat to cooked dishes or instant cat food, consequently, if they step over healthy formula, potassium in a little bite of banana may be useful. However, due to their meat-orientated assimilation, cats barely get such problems like overloading protein. Summarily, cats only benefit form bananas only fiber and potassium, otherwise, their need is not quite frequent and as much as contained whole bananas. On the other hand, if cats refuse bananas as cure for their disorder, people can use medication or other veggies instead. There is fact that cat don’t interest in bananas neither in eating nor seeing them. There are possibly exceptions. Reference from their finical palates, cats will prioritize animal source of food and they are quite picky in vegies diet. Bananas just fall in their curiosity list and they try sometimes. For appearance, bananas become strange look for them, which make cat reactions to bananas, like to cucumber, furious and terrified. The appearance of this fruit get cats mistake of predator (source). Additionally, smell of ripening bananas turns out not quite charming to cats, either. Ethyl acetate odor generating from ripe bananas is not cat favorite. Experiments done with some feline show that they almost all stay away from snack if there is just a bananas, not their taste. And funny to say that, toys or canned food relating to bananas become popular. People do not produce dried bananas for cats or make them bananas-shaped toy as popularly as others. 4. Fresh bananas appear on cats’ meal? Cats need different nutrition list from people do. It is easy for people to think that if some fruits and plants affect in a good way to human health then they could be same effects on cats. But that is not true. Available digestive enzymes in cat body are for meat. In natural, cats are obligate carnivores and they cannot live without meat in their diet, actually, they are born with hunting instinct. Cats are not interested in vegies due to their nature, not diet habit people creates for domestic pets. Because of their specific digestion system, cats lack some enzymes which can deal with plant source food such as too much fibers or sugar, components in most fruits. Consequently, fresh bananas are not possibly preferred in cat daily meal. Firstly, because they don’t like eating them. Secondly, they do not get benefit from eating them. In sum up, cats are able and allowed to eat bananas in very little amount for their own good. Bananas, in facts, confirmed by ASPCA and Margaret Gates, leader of Feline Nutrition Foundation, do not harm your cats but, turning around, nothing heathy to cats, either. Scientist recommend for an absolutely full meat diet for any cats, actually, for Margaret studies on her own cats will new update of 100% meat for any meals, her cats stay completely strong and healthy. That is evidence for her to prove that cats under no need of fruits in general and bananas in spectacular. Actually, some bites of bananas do not harm any to your cats and without often frequency. Your cats still survive after a slices of bananas at any ways. Copyright 2016 by Obey My Cat.